You can now purchase a farm stand card online for your desired amount based on how much you think you will spend throughout the season with us. Once you purchase your card you will pick it up at your chosen retail location pre-loaded with your selected dollar amount. 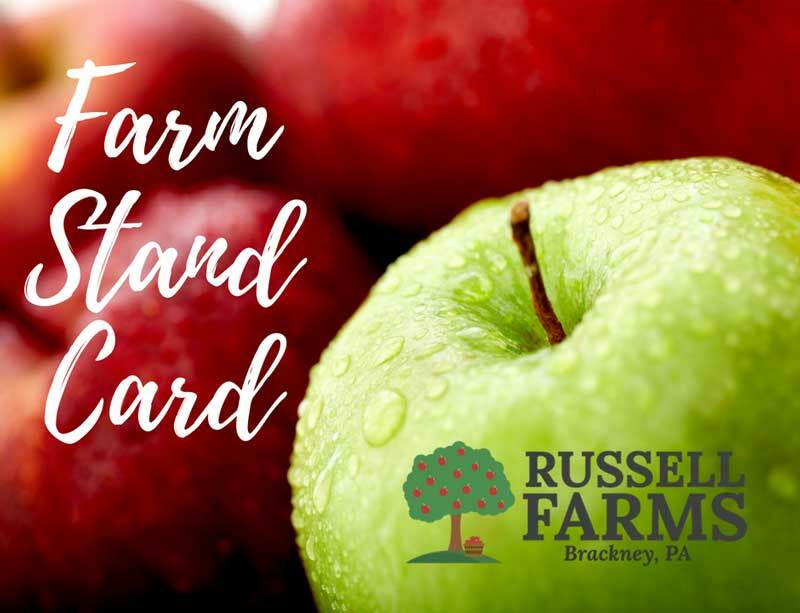 Your farm card is then used to purchase any items at any Russell Farm Location, no need to bring cash or credit!